Periscope can be described as your own little live TV station. The live video streaming platform gives everyone worldwide the chance to broadcast their life, news, adventures, everything what’s happening around them and share it with the masses. How to set up an account? 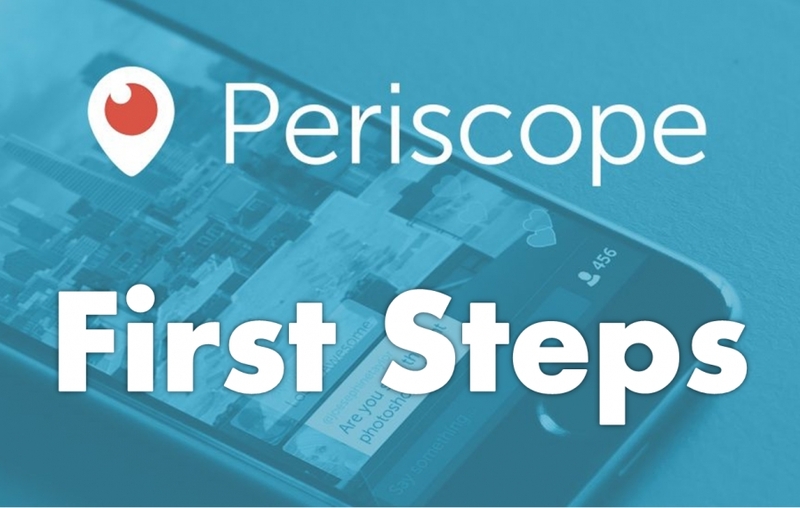 You can download the Periscope App at the Apple App Store or Google Play Store. If you have a Twitter account you can simply connect with it or you can even create a Periscope account by using your cell phone number. I recommend using Periscope with your Twitter account because each time you are broadcasting, you will have the option to send a Twitter notification in an effort to gain a larger audience. Explore the world through someone else’s eyes. If you have a Twitter account try to use the same profile name, so you are better connected in these two channels and your viewers can find you and recognize your name. You should use an easy and striking name, it depends if you only want to stay a viewer (normal, easy name) or set up your own scopes (expressive, informative name). Set a nice profile picture because pictures say more than 1000 words. Please think about an informative profile text, you should describe what you are scoping about or if you are only a viewer describe yourself. Periscope is a great community, people want to get to know you and share personal things from their life. To draw more attention to your profile name or text you can use emoticons and special fonts for example with the App Fontville. Under the profiles icon at the bottom menu on the very right you can find profiles you are following on Twitter and are also having a periscope account. Below these profiles you find the Featured Profiles which are part of the well-known “Most Loved List” from periscope (Persicope Top10). Another way to find interesting profiles is to directly search for them but at the moment you can only search for profile names. Under the globe icon at the bottom menu you can search worldwide for live scopes. Wether you are interested in a scope from Hawaii or Island or Australia, spin the globe and find the most awesome live streams all over the world. There is also an option to switch to a live stream list where all scopes are shown in a kind of pinboard. These scopes are sorted by featured accounts. So have fun with searching for profiles which excites you and don´t forget to follow them and don´t miss their upcoming live scopes (you will be notified if you chose it at the settings). Please note only the first 100 people can chat. If you stay in the scope and think you will automatically pushed in the chat if someone leaves, then you will wait forever 😉 The trick is to get out of the scope and come back again and maybe you are one of the 100 and have the chance to chat. If not, try it again and again until you are in. You can give a maximum of 500 hearts per stream. If you want to give the scoper more than 500 hearts, get out of the stream and come back in and you can give again 500 hearts. Repeat this until you gave enough hearts 😉 It’s the same with replays. If you like a scoper and don´t want to miss his upcoming live scopes, follow him. Swipe right and tap the profile icon (IOS). Trolls and Spammer: If some viewers are rude, unpolite, spamming the chat or dissing, you can block them by directly click on the comment and choose “block user”. You won´t see any comments from this profile again in any chat but for the other chatter the comments are still visible until they block him too. Periscope gives you also some sharing options during the stream or the replay. Just swipe right (IOS) and click on “Share”. You have the choice to share it on Twitter or Facebook and you can adapt the text and put for example an additional #, handle or other infos in it. Replays: If you miss one important scope, no problem. Persicope stores the videos for 24 hrs. You will find the latest videos (from scopers you follow) under the TV icon at the bottom menu. You can watch the scopes with the given comments. You can´t type comments at the replays but you can give a feedback with hearts (tap the screen at the right side) but note, it´s the same system like in live streams, you can only give a max. of 500 hearts per session. So if you want to give more hearts, go out the replay and come back again BUT the stream starts from the beginning again, you can´t spool it forward. Type a stream title and use emoticons, hashtags and different fonts. There is also a possibility to use a thumbnail for your scope to be better seen in the broadcaster list. You can choose the front- or back camera at your mobile device. It´s possible to switch the cam during the stream but note don´t say a word while flipping the cam because the sound is off during the flip. Periscope is now offering a landscape mode. Just choose the best mode for your scope. Trolls and spammer can be blocked directly in your live stream. Click on the spam comment and select “block user”. You will find the blocked users in your settings. If you want to restrict your live stream to certain viewers you can select the “private” mode before you start the stream (lock icon) and add some of your followers to the private stream. When you are already started your live stream you have the possibility to disable the comment function with “hide chat” but I don´t recommend it. It is maybe useful if you want to show something important without the comments are flowing over the screen. If possible use wifi or you are running very fast out of data. And with wifi your connection is much more better. Check your battery status regularly 😉 because streams need a lot of power. Well I am working on it slowly. If they fix orientation problem with Iphone X then I can hook up my 360 one till then I will bath in your awesomeness. Hi there, I'm Dana. 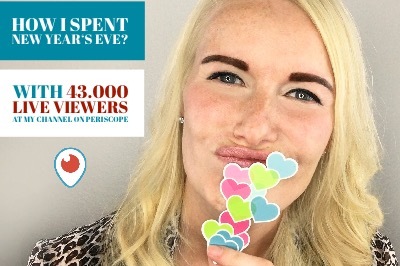 I love live streaming, travelling, taking photos/making videos of precious moments and testing new tech gadgets.